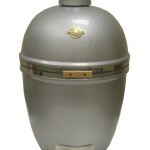 Kamado grills have quickly become one of the most renowned types of grills available on the market today. People from all over the world swear by their ease of use and ability to cook all different types of food at an even temperature. 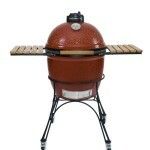 One of the major advantages of a kamado grill is that the ceramic shell keeps heat in very well which allows you to use less fuel, cook at higher temperatures, have a much more even heat throughout the grill, and best of all the outside stays cool to the touch. 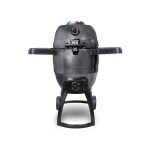 In addition to the obvious benefits of cooking on one, they are far easier to clean than your standard outdoor BBQ grills. 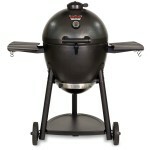 This makes them last much longer than your standard grill. Something that many people do not know is that it is not a new design by any means. Similarly designed grills date back to over 3000 years ago in countries as far away at Japan and India However, the modern versions of these grills have been upgraded significantly and offer variations and accessories that will suit every griller’s needs and desires. 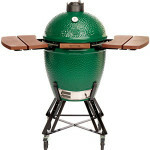 The most popular brand of kamado on the market is the Big Green Egg, however there are many other grill manufacturers that make this style of grill. 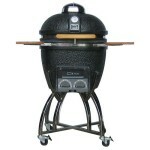 Read the kamado grill reviews on this page to compare features and prices of the different brands and find the kamado that is right for you! 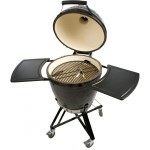 BigGreenEggPrices.com is a participant in the Amazon Services LLC Associates Program, an affiliate advertising program designed to provide a means for sites to earn advertising fees by advertising and linking to amazon.com.